Deluxe, oceanfront villa with four master suites. Each bedroom with its own bathroom, sitting area, cable TV, phone, clock radio, and hairdryer. Each bedroom is keyed individually, so guests can lock their room if they desire. Second-level balcony accessible by all bedrooms for star gazing and enjoyment by all guests. Bedrooms have either a king-size bed or two queens. Kitchen and breakfast bar are fully equipped with high-quality appliances and granite counter tops. Kitchen furniture was custom designed and hand carved for this home. Tommy Bahama furniture throughout the home. Living area is spacious with two full-size sofas and an over-sized chair. Includes large 42-inch TV flat screen with VCR, DVD, and CD entertainment center. Wireless DSL service added February 2007! Private fresh-water pool with flowing waterfall from jetted jacuzzi. Large deck for entertainment, private sandy beach and ocean kayak included. Two-zone air conditioner with ceiling fans throughout. Many excellent restaurants within two to 20 minutes. Gas station, East End grocery, restaurants and more within 5 minutes of house. Local calls. Long distance should be via credit card, phone card, or cell phones. Large deck. Plenty of lounge chairs, rockers, table and chairs. Chaise lounge chairs and outdoor dining table and chairs around pool deck. Kayak too! Thank you so much for your kind words. We are so happy that you enjoyed the Villa. We look forward to having you stay with us again soon. Thank you so much for your wonderful review. We are so glad we could be a part of your special day. My husband and I stayed here with our two young children and another couple with their young child. The location was perfect. This end of the island seems to represent real island life rather than the commercialized areas designed for tourists. We enjoyed visiting Rum Point - it was a very easy, pretty drive from the house. With 3 young children, the calm clear water there made it easy for us to relax and play. The property manager and her husband were very helpful and offered to share with us a coconut demonstration. We all loved that learning experience and were excited to expose our children to something we don't have at home. The owners were responsive to our questions before our visit and provided wonderful details for our arrival, stay and departure. We look forward to returning when our children are old enough to dive and have already recommended this home to a few friends. Thank you! Could not have been any better. The house is absolutely perfect. We have stayed in several places over the years while in Cayman and this is by far the best. The pool was great and the snorkling right out in front of the house was the best that we have experienced in the 20+ years that we have been traveling to the island. The house is extremely comfortable and perfect for groups as large as ours, which consisted of 9 people, and we even had room for more. Great place for kids. Lots of room and lots of things to do. This end of the island is so laid back and quiet but is still within a very short drive of everything you might need. 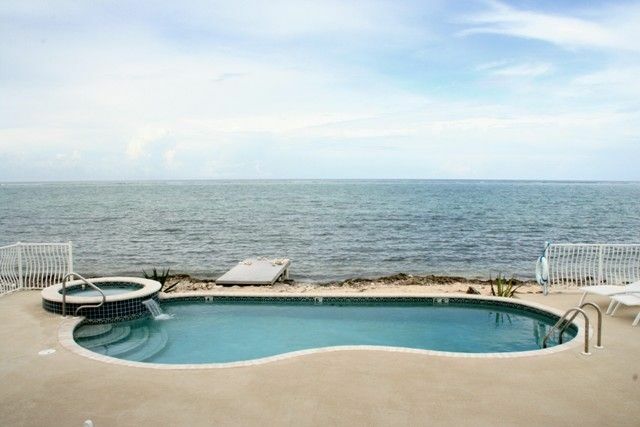 If you are looking for a home to stay at while visiting Cayman, this is the one. We felt it was a very good value as well. We stayed at one place the year before and it was twice the price but didnt have a pool, was not as nice at this one and the view wasnt nearly as good. Sitting on the balcony between the bedrooms in the morning or in the evening while drinking coffee or a glass of wine is a must. If you try this place once, you will be back. We certainly will. This home exceeded my expectations. We spent our vacation with friends and really enjoyed your home. The pool, deck, spa and beach are the best. And what about the snorkeling right outside. We saw sea turtles, angel fish, snapper and even a tiny octopus. The bedrooms are so spacious with plenty of storage and sitting areas, i felt as though I had moved in. Our family and our guests will be back soon, that's a promise. Thanks again for a wonderful trip!